Click on the pic to sign up for the crew! THE BIG NEWS!!! 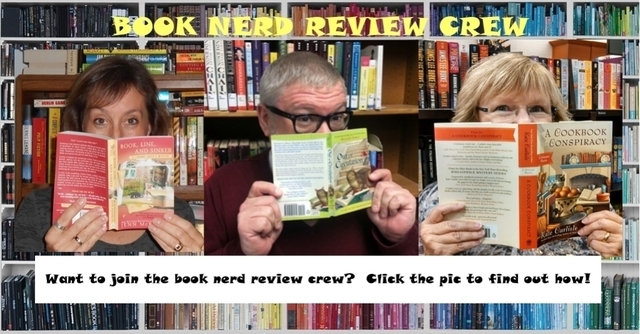 The BOOK NERD REVIEW CREW wants YOU! As you can see in the newsletter photo, I have joined forces with Kate Carlisle and Miranda (Dean) James to form a book nerd review crew (because we are book nerds of the highest order). Why? Well, we want to generate buzz for our book-based mystery series(s) and a review crew seems like a great way to get that done. It’s all pretty simple. There’ll be a random drawing on Sept 30th for crew members, and if selected you’ll receive a FREE early copy of each of our books. All we ask in exchange is that you post an honest review of the book on both Amazon.com and BN.com—and send us an email (we’ll provide you with an address) letting us know you posted it within two weeks of receiving the book. Easy peasy and, hey, free books! BOOK NEWS: A busy autumn for book releases! BURED IN BARGAINS, the third mystery in my Good Buy Girls series written under the name Josie Belle, comes out on Oct 1st. It was a wonderful book to write not only because my editor told me it was some of my best writing and made her a sobbing mess but also because it did that to me , too, while I was writing it. When a scene is so vivid that you’re sobbing at your keyboard, you know you nailed it. 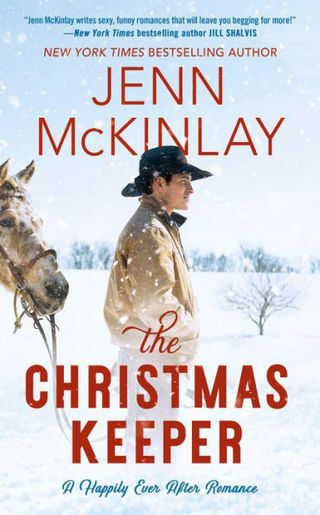 And then, amazingly, in November one of my very favorite books is being released! 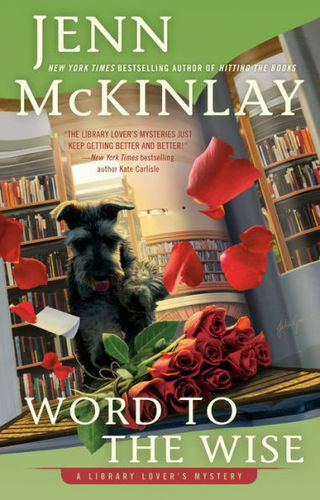 READ IT AND WEEP, the fourth Library Lover’s mystery, comes out on the 5th. I love this book, probably because there is so much Shakespeare in it (yep, I’m a fan) but also the story just captured my writer’s heart. I hope you enjoy it, too! EVENTS: A busy autumn for engagements, too, it seems! On October 27th, from 3-5 pm, I’ll be one of the authors at the PEO Authors and Artists event. P.E.O. is an international philanthropic organization that supports educational goals for women through merit- and need-based grants, scholarships and loans. University Presbyterian Church -- 139 East Alameda Drive, Tempe, AZ 85282. On Nov 6th, at 7 pm, I’ll be signing READ IT AND WEEP (or any other book you want signed) at the Poisoned Pen in Scottsdale, AZ. My friend Rhys Bowen will be joining me for a delightful evening, which is sure to include laughter and treats! Honestly, not much. Okay, that’s a big, fat lie. There’s lots on my mind, but some of it I can’t say because it would give away the plots of my next books, which would be bad, talk about a spoiler alert! And the rest of it I can’t say because, well, it’s a bit of a labyrinth of crazy right now. Oh, did you want an example? Fine, here’s a snapshot of Jenn’s brain in daily operation. It goes something like this: While driving home from the morning school run a bit ago, I was happily listening to NPR (a personal aside -- I have audio crushes on Steve Inskeep, he has the best laugh, and Renee Montagne). They were interviewing someone fascinating and I listened with rapt attention until I realized I was hungry, because while I managed to whip out breakfast for two cats, two dogs and two hooligans, I hadn't put anything in my face hole other than four cups of coffee before I was out the door. I debated whether I should stop at Bosa Donuts or Dunkin Donuts and if I did, did that mean I had to walk the dogs for an extra half mile? It was hot out, no, like really hot, like 100 degrees hot, so I decided to forgo the donut. I tuned back into the radio and caught up on the local news. Feeling informed, I zoned out and started thinking about the galleys for READ IT AND WEEP that I had corrected and emailed to my editor. Have I mentioned how much I love that book or detailed the amount of research that was involved in writing it? Yeah, well, as I was sitting at the red light thinking about how pleased I was with the book (another personal aside -- that NEVER happens as I’m usually wracked with self-doubt and convinced I’m a hack), I got a cold feeling that started at the top of my head and slowly slid over my body like a shroud of dread. It occurred to me, in a weird and singularly blinding smack of clarity, that I had left a critical piece of information out of the book. So critical that if I were the reader I would filet me and bread me and serve me for dinner with a fat lemon wedge in my mouth and a parsley sprig, well, I’ll let you as a reader do the placement on that one. Panic stricken, I figured out where to insert the missing information and kept it to a succinct and carefully placed paragraph. I sent an email to my editor pointing out my error that probably lit her inbox on fire. She reacted, I suspect, with the same chills I experienced and hustled over to production to discuss the situation. I fretted, I worried, I paced. I sent her a follow up email to tell production that if they could swing the change, I would send cookies. This was apparently a scale tipper. The change was approved and inserted! The book was saved! I sent cookies! And no, I’m not telling you what the critical fact was - unless you send cookies! What’s the takeaway here? I have no idea, but cookies do seem to be involved and now you’ve gotten a glimpse inside my scary brain. Is it too early to say Happy Halloween? RECIPE: Since it’s officially autumn, I’m going to share a real crowd pleaser. This is my mother in law’s apple pie recipe, which one of the hooligans emailed her for and then asked me to learn to make. I have made three apple pies since receiving the recipe a few weeks ago. Yes, it’s that good! I’m sharing it with you exactly as my mother-in-law sent it to me – because she cracks me up – delightful woman! Also, I add a sprinkle of nutmeg in the topping because I’m from Connecticut and we’re all about the nutmeg. Peel and slice apples. 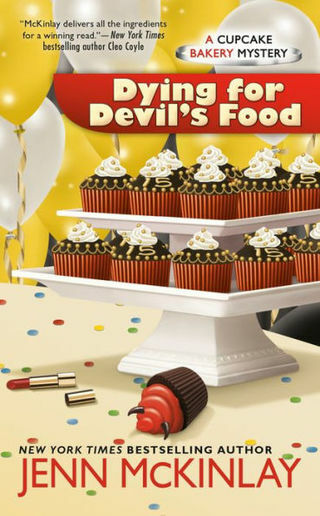 Mix with sugar, flour and cinnamon. Put into pie shell. Just heap them in as they’ll shrink as they cook. Mix the above with a pastry cutter or fork till it’s dry enough to sprinkle on top of crust. (You can always use more flour.) Just heap this on too. I hope you have a wonderful fall season full of vibrant leaves, robust pumpkin patches and tasty apple cider! Thanks so much for reading my books and letting me know you enjoy them. As always, I’m ever grateful!